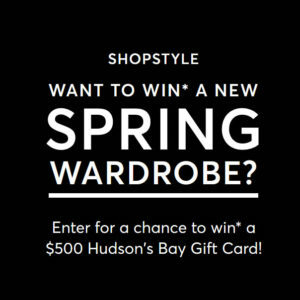 Win a $500 Hudson's Bay Gift Card from ShopStyle! Home » Contests » Win a $500 Hudson’s Bay Gift Card from ShopStyle! Enter the ShopStyle Spring Shopping Spree Giveaway for a chance to win a $500 Hudson’s Bay Gift Card!